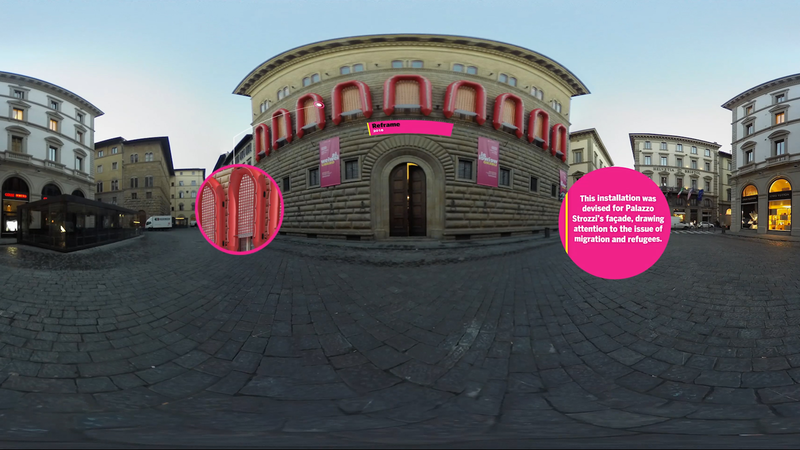 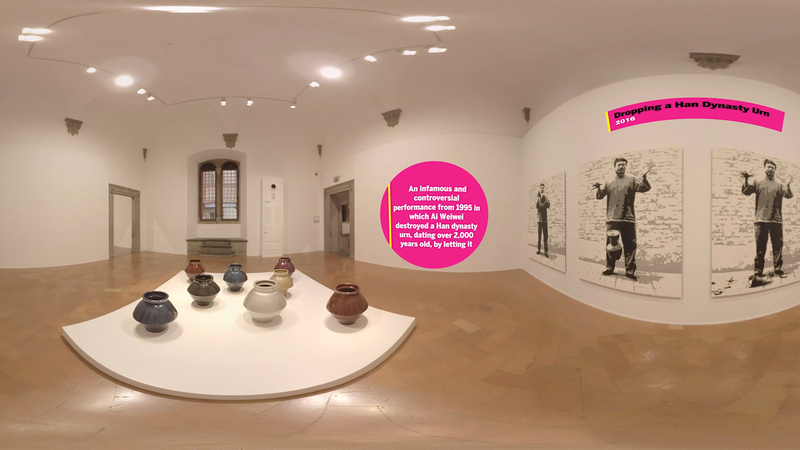 On the occasion of the exhibition of Ai WeiWei at Palazzo Strozzi in Florence, from September 23rd 2016 to January 22nd 2017, we wanted to create a Virtual Reality video that retraces the artistic works inside the exhibition and totally let the user immerse within it. 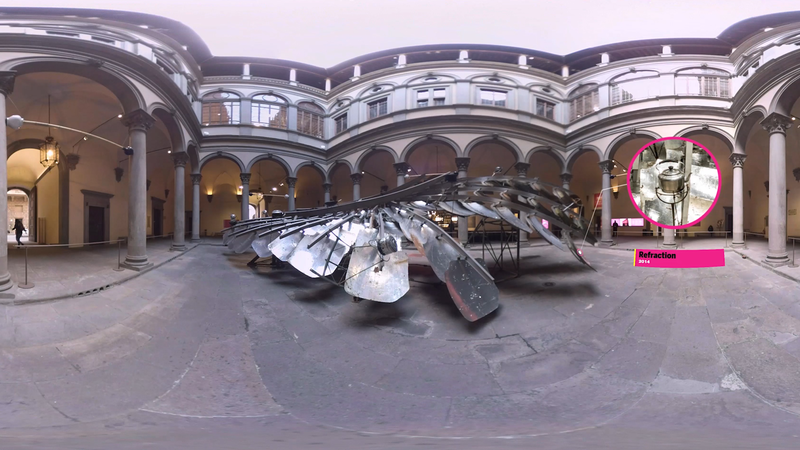 because of this exhibition in Florence, in order to underline his vision about the relationship between tradition and modernity. 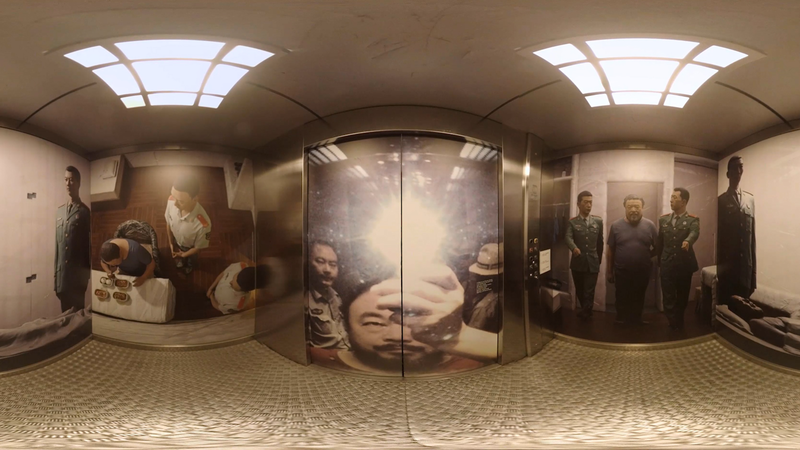 In the video the various stages of the exhibition are retraced through installations, sculptures, objects symbolizing Ai WeiWei’s career with a strong political impact, all accompanied by infographics and zoom on some details, and the voice of the artist that talks about his own works in background. 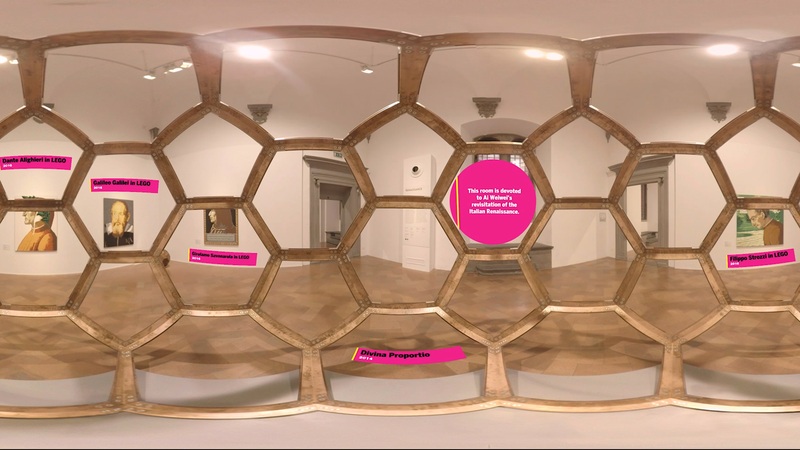 The result is an amazing VR video able to capture and guide the user through the exhibition and making him feel part of it.